Leveraging more than 50 years of rocket engine and space power experience, Aerojet Rocketdyne designs and develops advanced technology power systems for a wide variety of space applications. We focus on increasing efficiency and power density, lowering cost, reducing environmental impact, and delivering greater sustainability of both our customers’ and our planet’s resources. Aerojet Rocketdyne power systems currently power the International Space Station as well as the Curiosity Rover on Mars. They will also power Sierra Nevada’s Dream Chaser Spacecraft and the 2020 Mars Rover. Aerojet Rocketdyne is currently supplying the power source for the Curiosity Rover and will also supply the power source for the Mars 2020 Rover, enabling it to move around and conduct experiments on the red planet. The baseline electric power system for both rovers features a Multi-Mission Radioisotope Thermoelectric Generator (MMRTG). 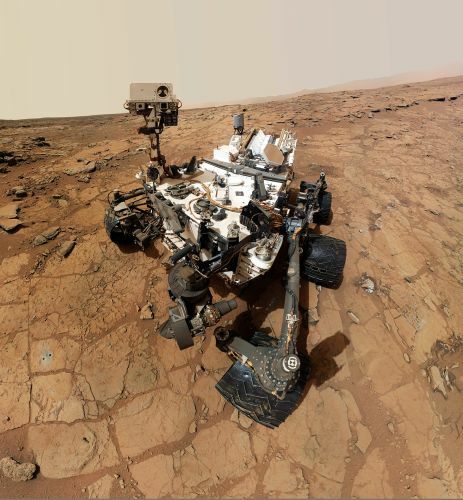 The MMRTG aboard Curiosity is the latest in a long line of RTGs that have powered deep space probes since the 1960s. It is designed to operate in a range of harsh environments, from the vacuum of deep space to extreme planetary surface atmospheres. MMRTGs produce stabilizing heat and electrical power for vehicles and instruments operating too far from the sun for solar arrays to be effective. The heat is used to provide thermal stability for the rover’s onboard electronics and mechanical systems, allowing for both day and night operations. MMRTG was designed and developed by Aerojet Rocketdyne with Teledyne Energy Systems, under contract/in partnership with the U.S. Department of Energy. 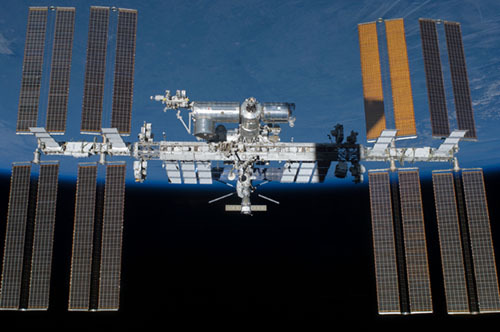 Aerojet Rocketdyne has made key contributions to the International Space Station’s 100kW Electric Power System (EPS) –including the batteries, solar arrays and power conditioning and distribution system – which provides the power vital for the continuous, reliable operation of the space station. A more efficient form of energy storage than the nickel-hydrogen batteries ISS was using, Lithium Ion (Li-ION) batteries are designed to operate at least 10 years. Aerojet Rocketdyne began to upgrade ISS’ existing batteries to Li-ION in 2017, giving astronauts the power they need to continue important research aboard the station. Li-ION batteries are substantially lighter than traditional batteries, resulting in nearly one-half of the launch mass and about 1.5 times more energy storage capability. They have incorporated safety features including voltage, temperature, current, charge balancing, and cell-overcharge monitoring, making them a safe, reliable and efficient power source for the space station. 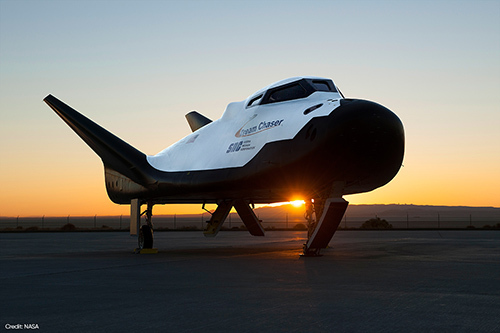 Aerojet Rocketdyne was awarded a contract from Sierra Nevada Corporation to supply the electric power system for the Dream Chaser, a reusable commercial spacecraft that will carry cargo to and from the International Space Station. We will design, develop, fabricate, test and integrate Dream Chaser’s electric power system, including power conversion, distribution units and rechargeable batteries. The power system will regulate power generated from Dream Chaser’s solar arrays and distribute it to the avionics, thermal and propulsion systems, as well as payloads that require electric power. The capacity of the rechargeable batteries will allow Dream Chaser to increase its free-flight time in space, as well as support the spacecraft's cargo delivery and return journey back to Earth.